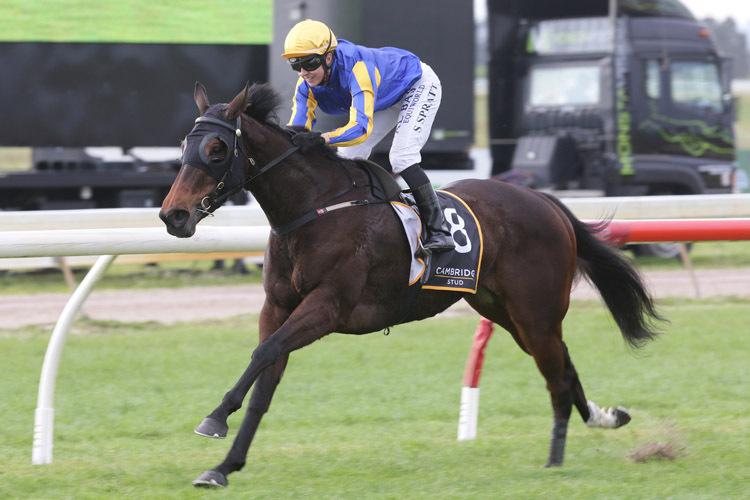 Pukekohe trainer Nigel Tiley’s decision to take his exciting three-year-old Melt back to Ruakaka on Saturday paid off handsomely when she dealt to her rivals in the Gr.3 Cambridge Stud Northland Breeder’s Stakes (1200m). The Iffraaj filly had opened her current campaign with a hollow win over 5 f at the venue a fortnight ago. With the Gr.1 Gavelhouse.com New Zealand 1000 Guineas (1600m) as her major spring target, Tiley began tossing up as to whether the Ruakaka contest was a better option for her next run as opposed to a lengthy trip away to the Gr.3 Hawke’s Bay Breeder’s Gold Trail Stakes (1200m) at Hastings next weekend. In the end Tiley plumped for Ruakaka and Melt didn’t let him down as she exploded through a yawning gap on the rails in the home straight to dash away to an effortless one and a half-length victory. “We were tossing up whether to come up here or go to Hawkes Bay next week,” Tiley said. “In the end it’s a six-hour round trip up here or a twelve-hour round trip down there. Tiley admitted there was plenty of confidence in the camp around the filly’s chances after the improvement she had shown from her first-up effort. “She didn’t get the best of runs early but she got a nice split at the top of the straight,” he said. There was near sensation before the start of the race when pre-post favourite Sword Of Osman proved fractious in the barrier which forced a vet inspection to be conducted before he was passed fit to start. That stir-up proved his undoing as he faded noticeably in the home straight to finish mid-field after issuing a brief challenge on the point of the home turn.